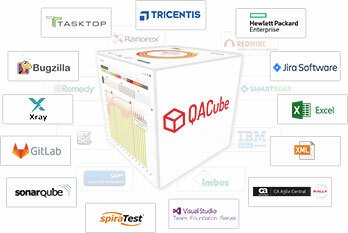 The QACube Quality Assurance Platform for DevOps is now available with several exciting new features, including enhancements for the new Development Component: drill-down possibilities into most graphics, new Sunbursts for Execution, Progress and Code quality, a Development Time Series graph, a Code Page with Statistics and easier handling of Repository Connections for system administrators. Many widgets like Sunburst, Defect Matrix, Time Series or Pie/Bar Chart now allow to click on a dot or a bar to display the underlying data in the Core Data section. 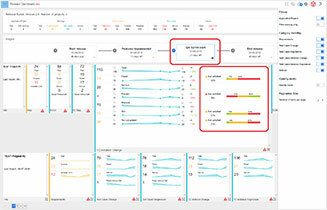 The same drill-down functionality is also implemented in the charts in the Dashboard. Two new types of Sunbursts have been added to the widgets list in the Testing Component. The Execution Sunburst shows the execution lists and the status of their test cases. 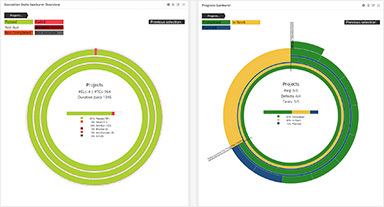 The Progress Sunburst shows the progress of the requirements and their workstate. The Code Page shows the repository with the file structure of the code. 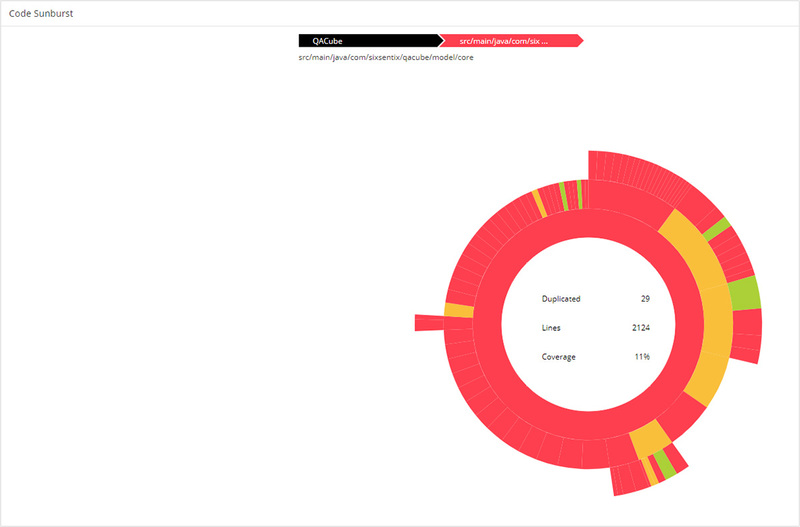 The new Code Page contains additional information about the lines of code, issues derived from the source quality tools, duplications, code coverage and execution of the unit test cases. The Code Page can be personalized by hiding/unhiding columns, changing their position and using filters. 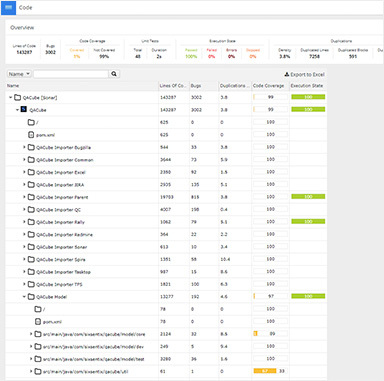 The Overview shows statistical information at-a-glance. Number of total and open issues. Information about the unit test errors, failures and the test success density. 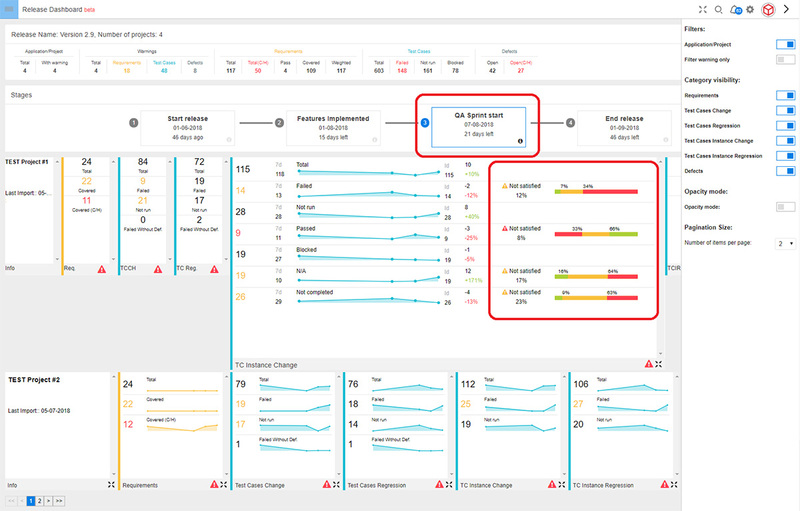 Code metrics such as complexity, lines of code, duplicates and coverage. 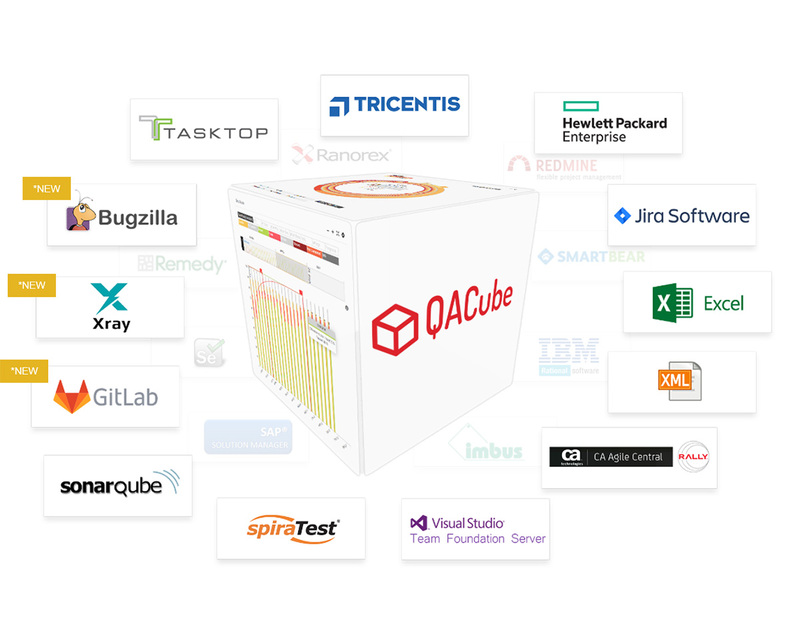 This new adapter allows to connect any source code management tool to QACube. 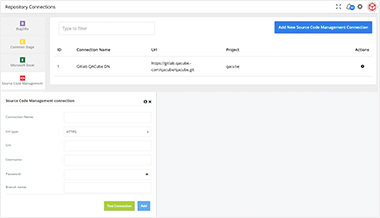 Connect easily any source code management tool and visualize source code structure and metrics in QACube. So far, in the Repository Connections only the merge of projects was possible. With the QACube Release 2.10, it is now possible to merge the applications for import as well. 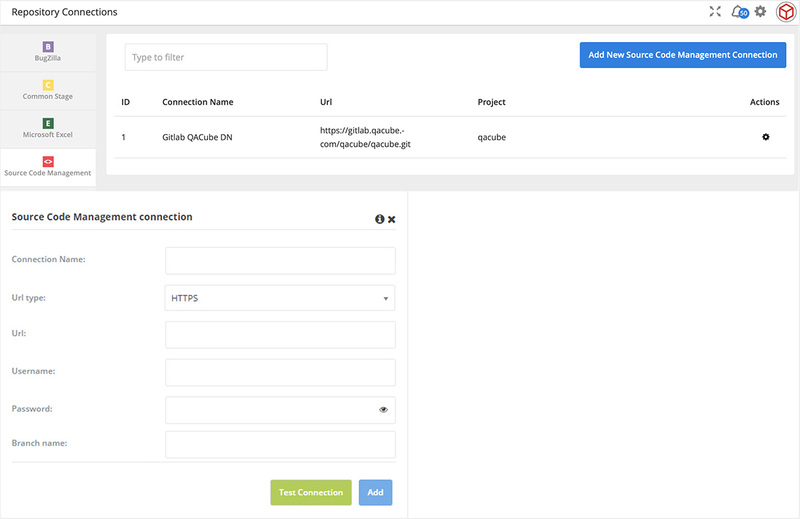 Save time by copying the existing Repository Connections. New Repository Connections had to be created from scratch. With the QACube Release 2.10 it is possible to copy the existing connections and modify them as needed. 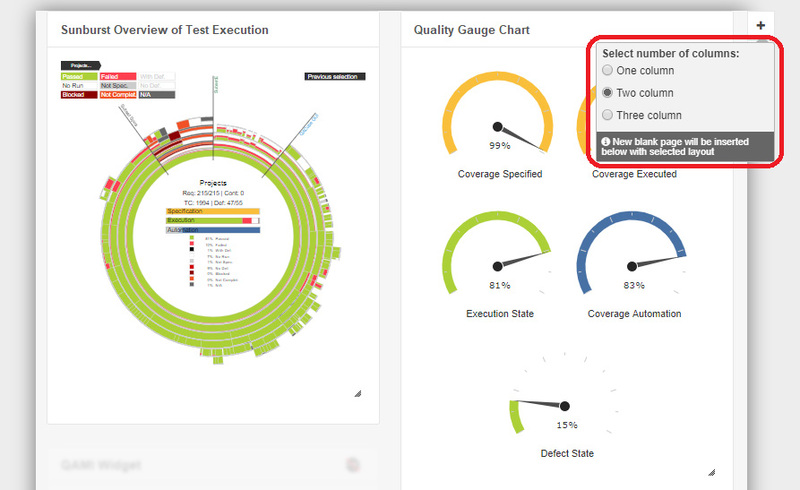 Set different “quality gates” or KPIs for the release and define ranges for Requirements, Test Cases, Test Instances and Defects per Release Stage. 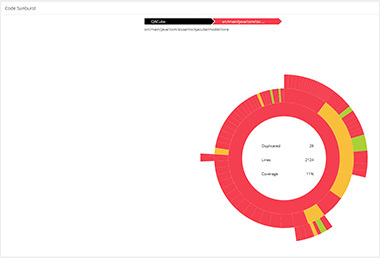 If a particular KPI is not within the defined range, a warning message will immediately indicate a breach of any range that has been preset. 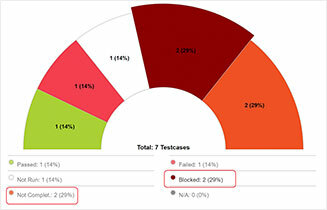 show warning if more than 22% of failed Test Cases have no Defects linked. 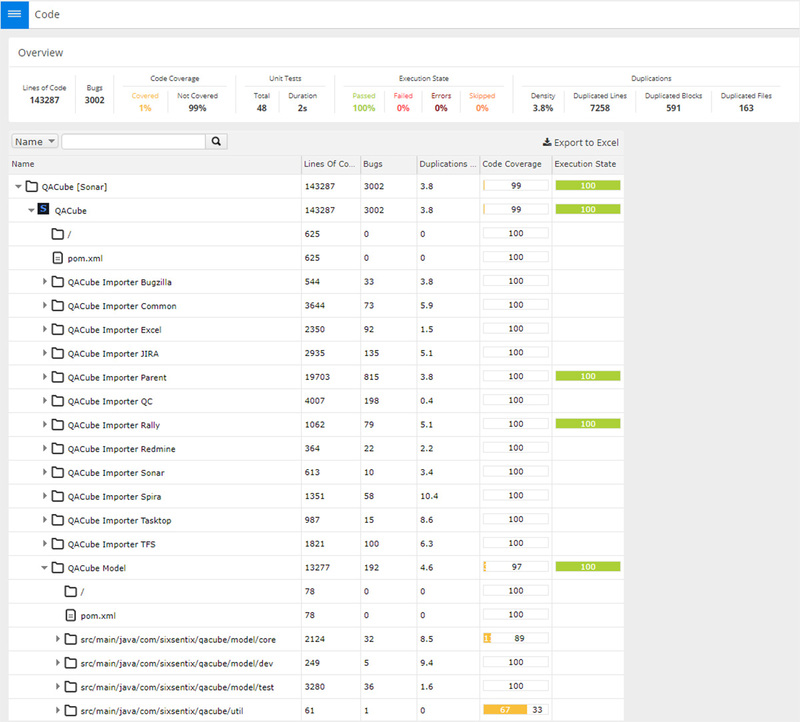 The Statistics Overview Section displays the number of Projects/Applications, Warnings, Requirements, Test Cases, and Defects in the selected Release. Check out the Video Tutorial of the New Release Dashboard! New Adaptors support connection to more Source Systems! New Adaptors are now available for Bugzilla and Xray. Benefit from improvements for GitLab, JIRA, Team Foundation Server and Tosca. Select between A4 “portrait” and “landscape” printing. Widgets can be removed or resized for printing. Additional blank pages can be added in order to rearrange the Widgets on the page. 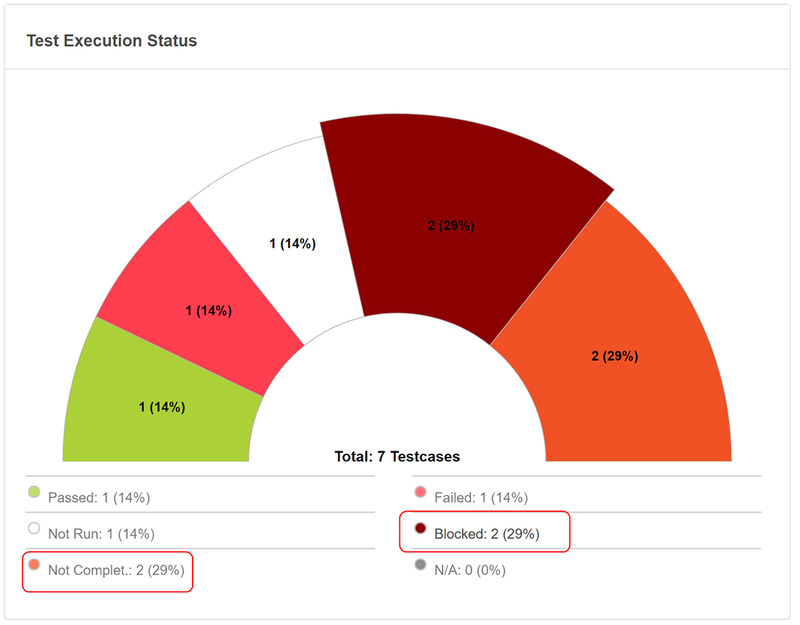 The ALM Test Status Section and all Widgets containing Test Execution Status information have been enhanced with the new Statuses “Blocked” and “Not Completed”. 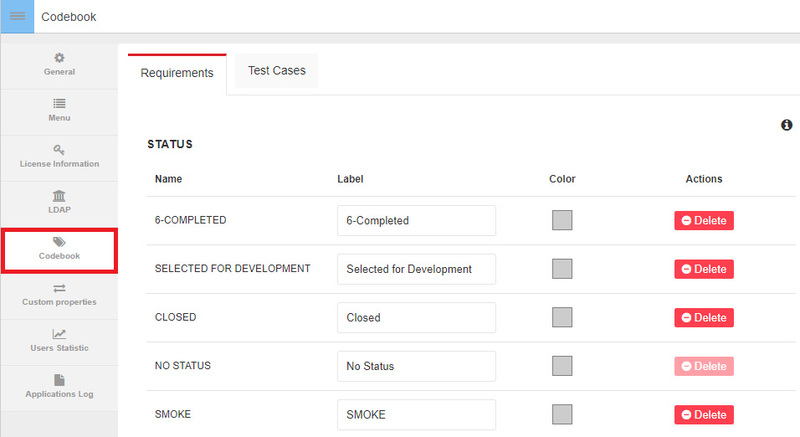 Test Execution Status now also displays “Blocked” and “Not Completed” Test Cases. 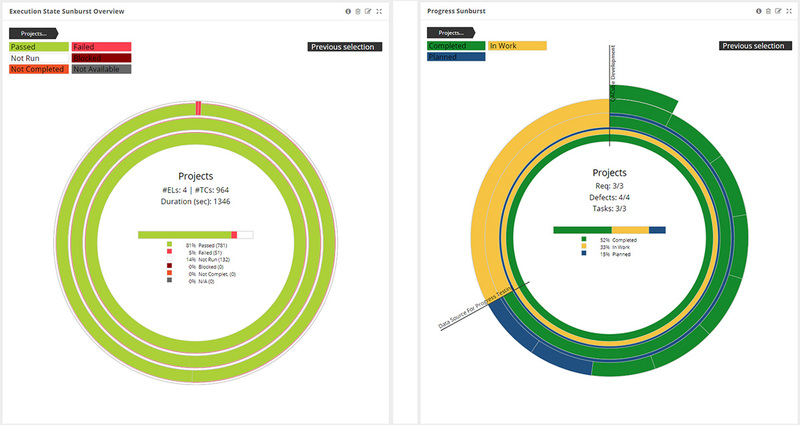 In the ALM Progress Page, Time Series, and Sunburst Widgets you can now visualize the progress of the Requirements. 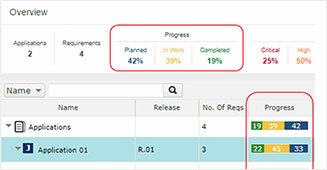 The progress can be displayed according to the Requirements Statuses, including: “Planned”, “In Work” and “Completed”. The new Codebook enables the Administrator to configure the labelling for graphics. 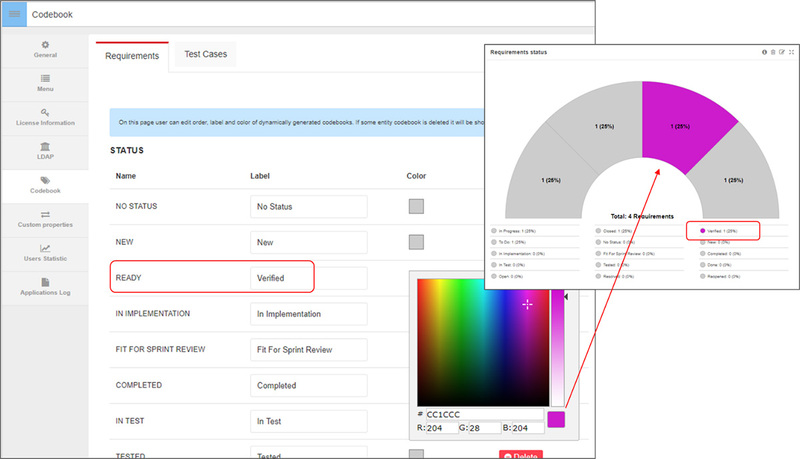 This new functionality enables the Administrator to dynamically configure the labelling of the Requirement Status codes, and Requirement and Test Case Types. 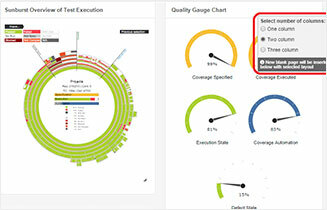 The newly configured labels appear in ALM Requirements and the Test Cases View, as well as in the Widgets Pie/Bar Charts, Requirement Status Bullet Chart, and Test Case Type Bullet Chart. 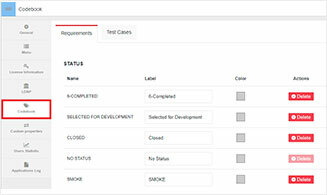 Rename Requirement Statuses, Requirement and Test Case Types to meet your needs. 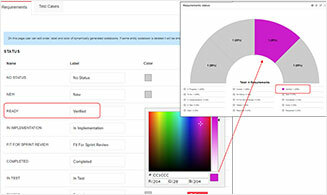 Set your own colors for each customized setting referenced above. 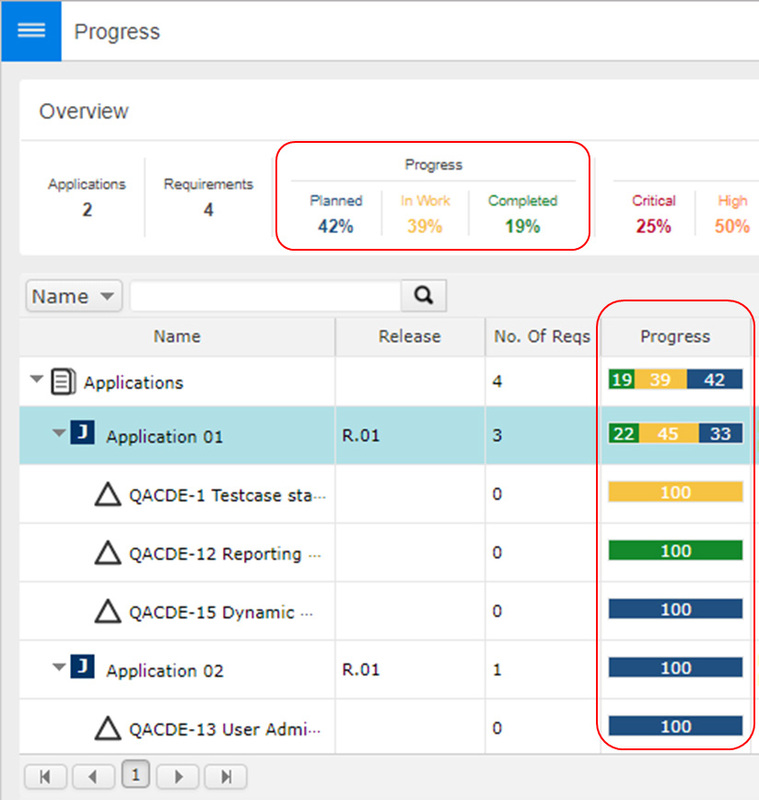 Risk Management can now also be configured in a centralized section such as Milestones. It is possible to set the number of rows to be shown in the ALM Pages Tables (Requirements, Test Cases, Execution Lists, Defects, Tasks, Progress), which improves the performance of the QACube ALM Grids. 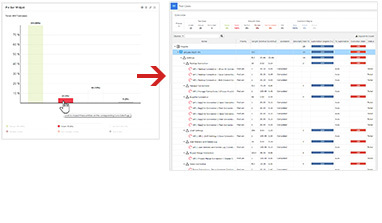 A company-wide setting can be activated to show a Pop-up Message after each Login to warn the users about displaying the Client Identifying Data (CID). There is a new Info Icon in the Widget header with the ability to display the description of each Widget.